All the roads are fine now, everything working normally. A light snowfall overnight, conditions are great! 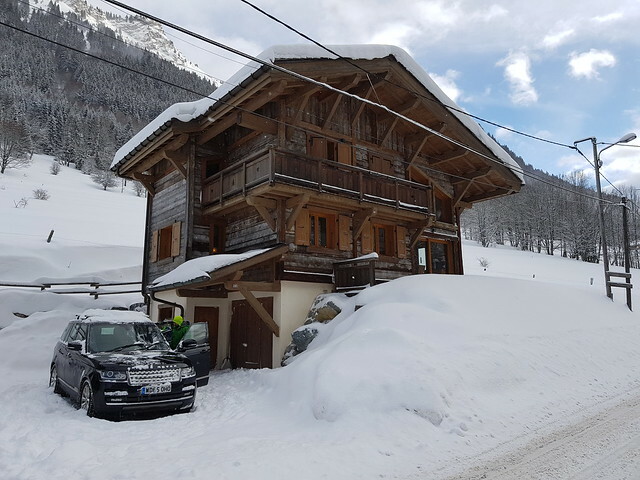 Left Chatel Sat AM after a week where it snowed everyday bar one, never seen so much snow in the village, on Friday we most have had 30cms. Anyone there this week will have a great time. @Lee Shaw, skied Chatel today and and completely mogled by lunchtime. Monday should be better as it’s stopped snowing and grooming takes shape. There is an incredible amount of snow in the village. I think today will go down as the day of the season. It's absolutely stunning, perfect powder, blue skies and -11 at 08h30! We are skiing La Chapelle / Torgon today and amazing conditions. Very quiet. It sure was good today, but I’ve had better days this season. The snow was wind affected above 1800m apart from in a few sheltered spots, and tracked out below where everyone had clearly been yesterday. 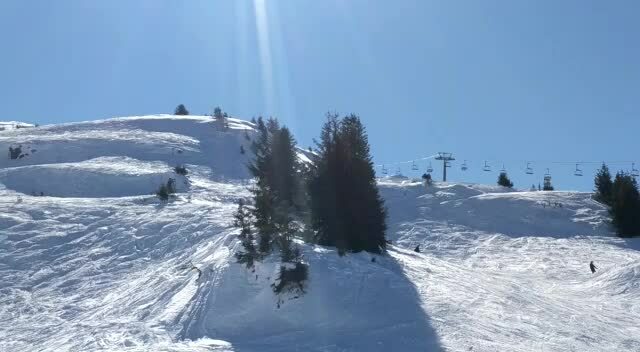 Fantastic conditions in Morgins yesterday. Even nice conditions under the corbeau. We have had a load of snow, although I can't talk about the last three days as I am across the pond visiting family - where there is also lots of fresh in Utah, albeit high winds, lift closures and poor visibility. Tuesday for day of the season? Cold high pressure after a good dumping Sunday/Monday! Arriving Sunday, little bit excited. Last Monday was epic! Amazing snow, not warm, blue skies and no crowds. @Ozboy, La Chapelle - don't you just love it! @DJL, it was my first excursion go that corner of the PDS and we loved it. The red run back to Torgon base station, alongside the long ‘tire-fesses’, was my favourite. @DJL, we loved La Chapelle, we had a week staying there last season when we still had our place in Les Gets, so were able to use our PDS passes and spend more time in that area rsther than a quick dash amd always watching the clock to get back. @Pamski, that is luxury, taking a week's holiday in the next valley when you "live" in Les Gets! Some good dining in La Chapelle though. @DJL, we did indeed enjoy some good meals in La Chapelle. We used to let a bit and tried to go somewhere else. I think our other away week last year was staying in La Giettaz and we used our reciprocal days around that area. Happy days! @DJL, Do not mention Cret Beni!! You take the vouchers to the lift pass office with your PdS season pass. It's straightforward and I've done it in Le Chable. @alj, Take your PdS pass too, as they sometimes cross reference the number written on the Verb Voucher with your PdS pass. I have been 3 times this ( pre ) season, twice they checked, once they did not. @alj, just make sure your PDS pass is then tucked away well away from the one you are going to use that day as the machines get confused otherwise. @WindOfChange, @Pamski, @snoozeboy, thanks for the advice. We've used the discovery days in other resorts but somehow 5 free days in Verbier without a catch seemed too good to be true! 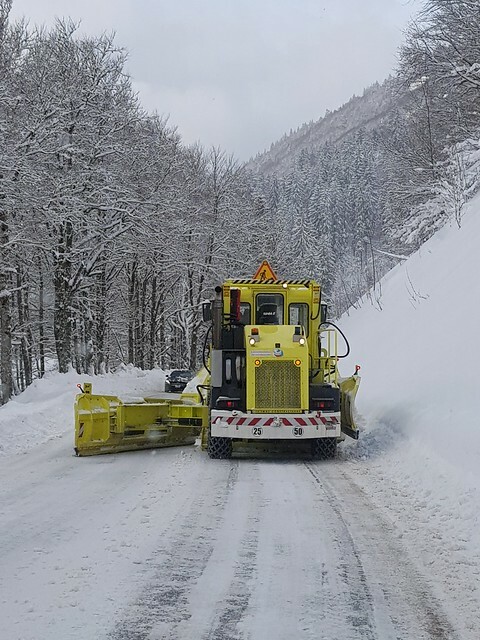 We're risking it and going to stay in Martigny (cheapo hotel) for a couple of days before going on to Italy and will ski from Le Chable so thanks for the specifics on that too. @alj, , oh and I know I was a little facetious about instructions but our Chamonix ones have been known to have some pretty tortuous small prints (e.g. 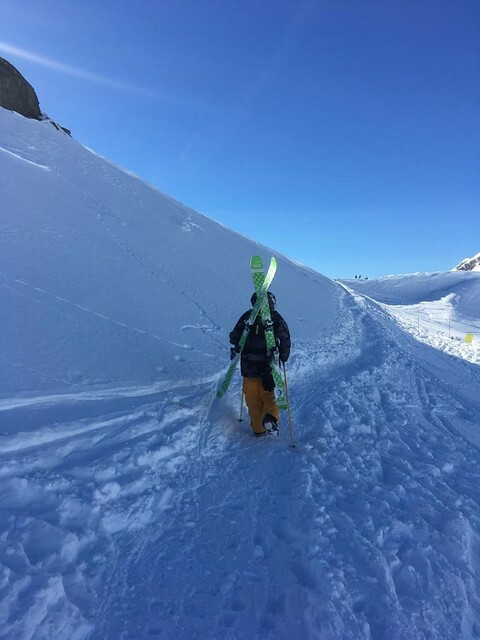 one year they said you had to have your season pass credit card receipt as well as the season pass to initiate Courmayeur, not that anyone ever was asked for it, but would have been boring to discover it was needed after a tunnel trip). @zzz, well it has happened to us on occasion! So the weather is stunning, and the pistes are in absolutely fantastic condition pretty much everywhere. The off-piste is tracked out. You have to hike a bit to find untracked now, which is good fun, if rather heavy going - this stuff was quite sticky today...but the views were glorious! That bar restaurant do an amazing Tartiflette, too...just the way to reward oneself after the run! 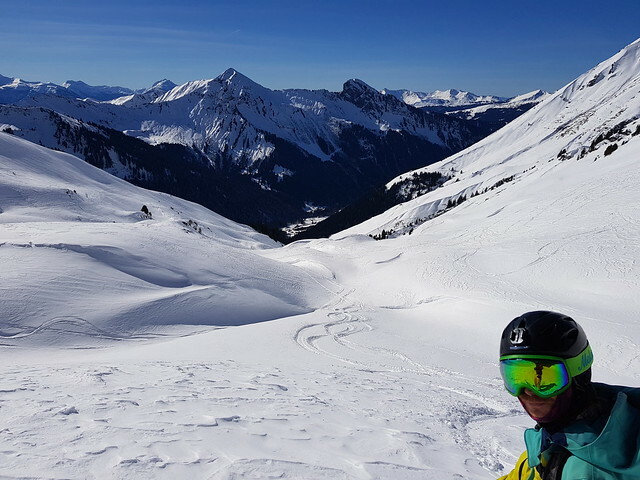 Spring conditions now - it was 7 degrees at the bottom of Ardent, and I was in shell jacket and T-shirt and inner gloves with no neckwarmer over in Chatel today. So warm today I took the chance to get out on my bike. Just lovely. I think that next week's crowds may preclude Ollie from many more double backflips. Hope so - such antics remind me that I will never be that good/fearless. Another bluebird day on lovely pistes today, people. The half term crowds arrive tomorrow - welcome you lot, hope you have a great week! I was considering booking a last minute break to Morzine for Sunday 24th Feb. However, looking at the weather forecast for that week it shows temperatures as high as 17c! What's the chances of getting any good riding in with temperatures running that high? This weekend, the temps were high in the afternoon. We rode PLJ, PD, Lindarets & Avoriaz on Saturday, & PLJ, Lindarets, Les Crosets, Champery on Sunday. It was a bit crispy early doors, but the afternoons were beautiful spring like conditions. Great for riding, though I did overhear some skiers bitching saying they were going to higher to find "better" conditions. Not sure what they were hoping to find, and when its warm, aspect is more important than a few meters of altitude. - still I hope they found what they were looking for ( though I suspect not, unless they hiked up the Vorlaz). Personally I love riding these conditions, I'll take sunshine and slop over cloud, and blizzard every day.